This fascinating documentary truly goes to new depths in the search for man's physical and mental limits. Breathe follows New Zealander, William Trubridge as he attempts to break his own world record in the extreme sport of Freediving. William attempts to dive completely unaided to a depth of 300ft, almost to the bottom of the deepest blue hole in the world - "Dean's Blue Hole" in the Bahamas. Featuring candid interviews with locals who live in fear of the hole, interviews with William's family members who are in constant fear for his life and stunning underwater footage of William in action, Breathe will literally leave you holding your own breath as William takes us on a journey to the depths of mankind's fascination with the underwater world. UNH History Professor Jeff Bolster talks about his newest book, The Mortal Sea. Convinced that the time has come for historians to take the living ocean seriously, University of New Hampshire history professor Jeffrey Bolster has written a new book—The Mortal Sea: Fishing the Atlantic in the Age of Sail. In the book, Bolster takes readers through a millennium-long environmental history of human impact on the ocean. Recently, Mission Blue caught up with Professor Bolster. Read the Q&A below to find out about the inspiration behind the story, what interesting things didn’t make it into the volume, and how writing this book changed Professor Bolster’s own view of the ocean. Can you briefly describe what inspired you to write The Mortal Sea? I've spent a lifetime messing around in boats, and as a young man I was a commercial seaman for ten years. Back then, before I understood the plight of the living ocean, I caught a lot of fish. More recently, as a historian of early America, I was convinced that the time had come for historians to take the living ocean seriously, and to include its stories in our work. I wanted to reconstruct a vivid history peopled by individuals making what, they hoped, were the best decisions in the circumstances they faced. But I also wanted to tell a story sufficiently large to show dramatic changes in the sea over time, a story that would peel back layers from a supposedly "traditional" past. What was the most interesting or shocking thing you learned while writing this book? The most shocking revelation was that serious conversations about the need to conserve the ocean's living resources had been occurring for a VERY long time. 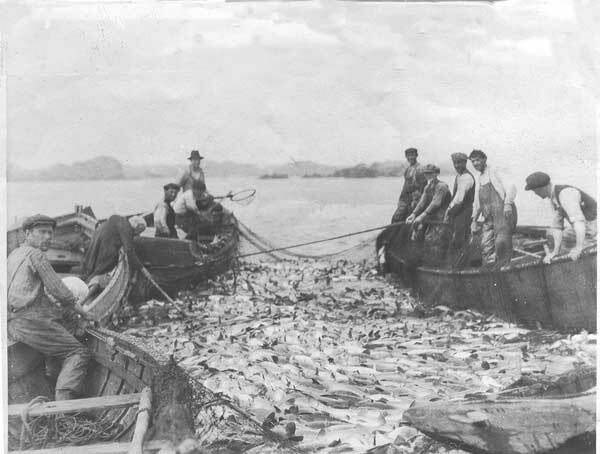 In 1873, for instance, "the restoration of our exhausted cod fisheries" was a major concern of the U.S. Fish Commission, because commercial fishermen insisted that the government do something to preserve the stocks on which their livelihoods depended. 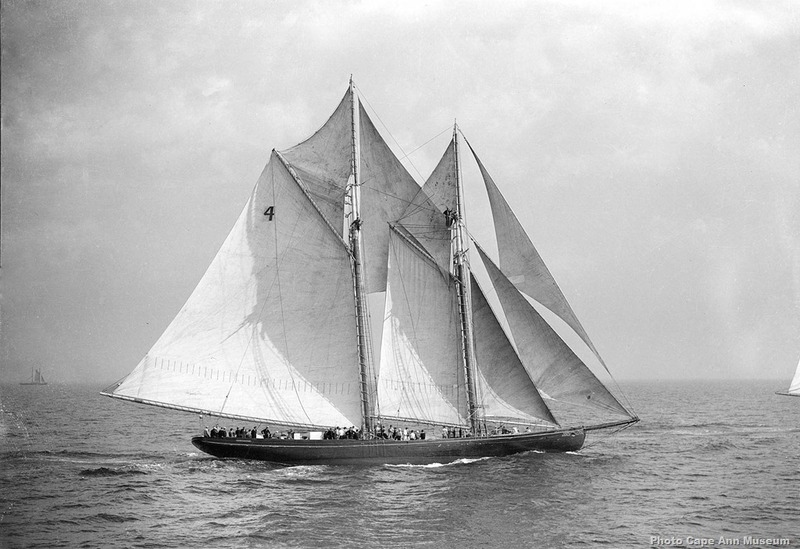 From the 1850s to about World War One, fishermen led the charge for conservation. They wanted to keep fishing, but they wanted fish for the future, and they were very concerned about the depletions occurring right before their eyes. Was there anything that you found to be interesting or important that didn't make it into the book? If so, what? I had considered, as part of Chapter One, writing about human impact on the Mediterranean during the era of the Roman Empire. But I decided that was going back too far, and that the Mediterranean was not part of the boreal North Atlantic -- my chief focus. So I started the story in the Middle Ages, when Viking invaders became the fishmongers to Western Europe, bringing the technologies that would allow coastal Europeans to catch true sea fish. What do you see as the biggest threat to the world's ocean? The threats today are numerous, and include ocean acidification, plastic particulates suspended in the water column, and overfishing. Governments and societies could do something about all three of those, but overfishing stands out as the problem with far-and-away the deepest roots. Who do you hope reads this book and why? It's for everyone who cares about the ocean, and is moved by its moods and fogs, its mysteries, its diurnal tidal pulse, and its impact on peoples' imaginations. Ideally, I would like fisheries managers and politicians to read it because it drives home several crucial points. One: overfishing is by no means a recent phenomenon. Two: Ecological time functions on a very different scale from the two-year and four-year political cycles that drive policy. It took us centuries to make a colossal mess of North Atlantic ecosystems. We shouldn't delude ourselves that we can "fix" the problem soon. That without genuinely historical perspectives on changes in the sea we can have no idea of the magnitude of the restoration challenges we face. Has writing this book changed your own view about the ocean? If so, how? I have spent thousands of days and nights underway in the North Atlantic and Caribbean Sea, and I used to think I knew something about the sea. Now I sense that my generation (I'm 58 years old) may have been the last to come of age influenced by the flawed assumptions that the sea was immortal. As late as 1951 someone as perceptive as Rachel Carson could write that mankind "cannot control or change the ocean, as in his brief tenancy of earth, he has subdued and plundered the continents." She called it wrong, and were she alive today she would want to know how we had been so myopic. My book explains that story. And the first line of the Epilogue conveys my current appreciation of the situation. "In its immensity and fragility the sea has never been equaled." A new atlas of the world's oceans issued on Tuesday shows more than 3,000 sites important to seabirds as part of a drive to improve conservation. 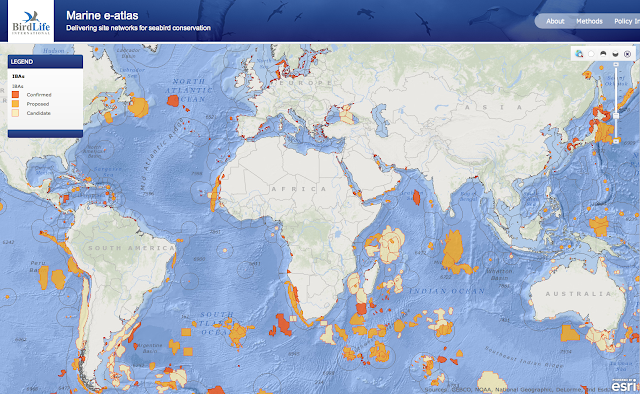 The free online atlas could help governments plan, for instance, where to set up wildlife protection areas at sea or where to permit offshore wind turbines or oil and gas exploration, they said. The atlas, showing areas vital to birds including pelicans, sandpipers, cormorants and skuas, was compiled by BirdLife International, drawing on work by 1,000 bird experts, government ministries and secretariats of UN conventions. "Seabirds are now the most threatened group of birds. They present unique conservation problems, since many species travel thousands of kilometres across international waters," BirdLife International said in a statement. It identifies more than 3,000 important bird areas (IBAs) worldwide, such as breeding grounds and migration routes, covering in total 6.2% of the world's oceans. "Our initial target is to encourage governments to use this tool and use this data in their national planning," Ben Lascelles, BirdLife's global marine IBA co-ordinator, told Reuters. He said that Japan, for instance, had recently consulted BirdLife about where to site offshore windfarms to avoid damage to migratory birds. The atlas was unveiled at a UN conference on biological diversity in Hyderabad, India. Areas such as off the tip of South Africa where or the Pacific off South America were among the most important "hotspots" for birds. The atlas might also lead to the development of other global marine maps, for instance for turtles, whales or sharks, and encourage governments to identify where to site marine protected areas. Governments have set a goal of protecting 10% of the entire area of the oceans by 2020. "People have often cited a lack of data as a reason for inaction for protection and management of sites, particularly on the high seas," Lascelles said. "This is showing that there is a lot of data out there." With new GPS technology, it is almost impossible to get lost nowadays. 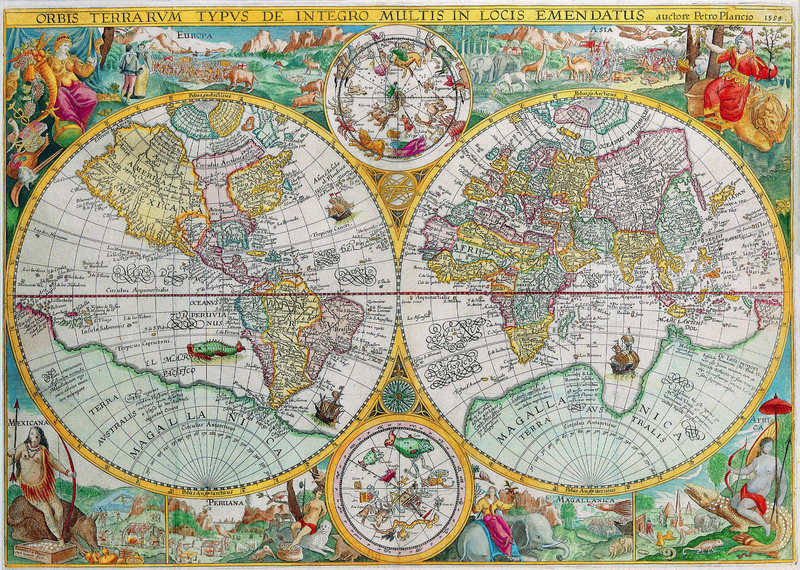 So how will the death of paper maps change the way we live, asks Simon Garfield. Got truly and outstandingly lost recently? Enjoy the feeling while you can, for it's becoming an increasingly difficult task. As a curious race we have always liked to know where we are, but it is now almost impossible not to know - our phones, computers and sat navs keep us continually co-ordinated, and through them we are involuntarily tracked ourselves. Once the preserve and privilege of the rich and influential, maps and accurate wayfinding have suddenly come to feel like a birthright, to the point where if things don't meet our expectations (good afternoon Apple Maps), we feel worse than deprived, we feel truly disorientated. The Tabula Rogeriana was made by Arab geographer Muhammad al-Idrisi in 1154. It was the most accurate world map for some 300 years. It has been rotated 180 degrees, with al-Idrisi's original placing north at the bottom. It is now hard for most people aged below 25 to remember a time when we used maps that folded (or at least maps that came folded from a shop, and never folded quite so well again). 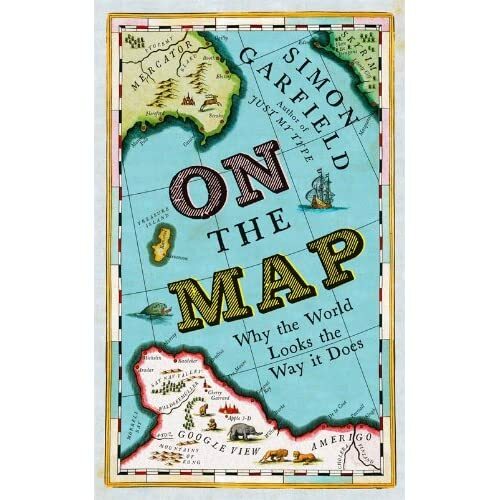 And it is a sobering thought that our most influential maps are now in the hands of a very new breed of cartographers. These are not people traditionally charged with representing our landscape with carefully plotted co-ordinates and contours, and with recognisable symbols and important landmarks. The new maps are gridded by technicians and pixel masters, who may be more concerned with screen-loading speeds than the absence on a map of certain parts of, say, Manchester or Chicago. There is already a visible backlash. Organisations such as OpenStreetMap enable us all to become new wiki-style digital cartographers by adding areas of specific or local knowledge to a global map. And the internet is alive with sign of a renewed and vibrant passion for hand-drawn maps, offering a personal and often humorous view of our lives beyond the corporate uniformity of the big mapping companies. The Erdapfel (German: earth apple) produced by Martin Behaim in 1492 is considered to be the oldest surviving terrestrial globe. But these days we are all really at the centre of our maps, which is both a useful and egocentric thing. A thousand years ago Jerusalem stood at the centre of the Christian world view, or if you lived in China it was Youzhou. But now it is us, a throbbing green dot on our handhelds. We no longer travel from A to B but from Me to B, and we spread out maps on the floor or on our laps in a car only with wistful nostalgia. It is quite possible to walk, phones in our palms, from one end of a city to another without looking up. The loss is historical, social and monumental (as one inspired tweeter observed, I wouldn't change my Apple Maps for all the tea in Cuba). In our cars, GPS may guide us quite merrily from one country to another, and we may arrive at our destination without any idea of how we got there. En route from London to Cornwall, drivers may listen to a radio documentary about Stonehenge without realising that they have passed it on the right, for it is not on the sat nav. We now tend to look just a few yards ahead, which is a shorter distance than our ancestors used to gaze when they lived in caves. The Ptolemy world map is a map of the known world to Western society in the 2nd century CE. There is another problem - digital maps may be shrinking our brains. Richard Dawkins has suggested that it may have been the drawing of maps, rather than the development of language, that boosted our brains over that critical hurdle that other apes failed to jump. Over the centuries, maps have always provided a key contribution and guide towards what makes us human, and they continue to record and realign our history. It is still too early to say whether a lessening in our spatial ability and perspective, and our ability to remember landmarks, will decrease that area in our hippocampus that serves as the engine room for such skills, but it is highly likely. An examination of the brains of cab drivers has shown a great expansion in that area due, it is thought, to the retention of many miles of street plans. Nova totius Terrarum Orbis geographica ac hydrographica tabula, a map of the world created by Hendrik Hondius in 1630, and published the following year in the atlas Atlantis Maioris Appendix. Among its claims to notability is the fact that it was the first dated map published in an atlas, and therefore the first widely available map, to show any part of Australia. Our lives have changed almost beyond recognition in the digital universe, but the most significant change - that of tracking our path through this world and being tracked by others - has come upon us stealthily and irrevocably. And these are extremely early days. My fellow cartographic historian Jerry Brotton recently observed that digital maps were at "the dot-matrix printer stage", which is to say early, buggy and unfocused. There is no doubt that the range, accuracy and personalised nature of digital mapping will increase, and that mapping companies will become even integral to our lives. Maps and location are arguably the most crucial elements of all new digital devices, and the principal driver of this advance will continue to be commerce. 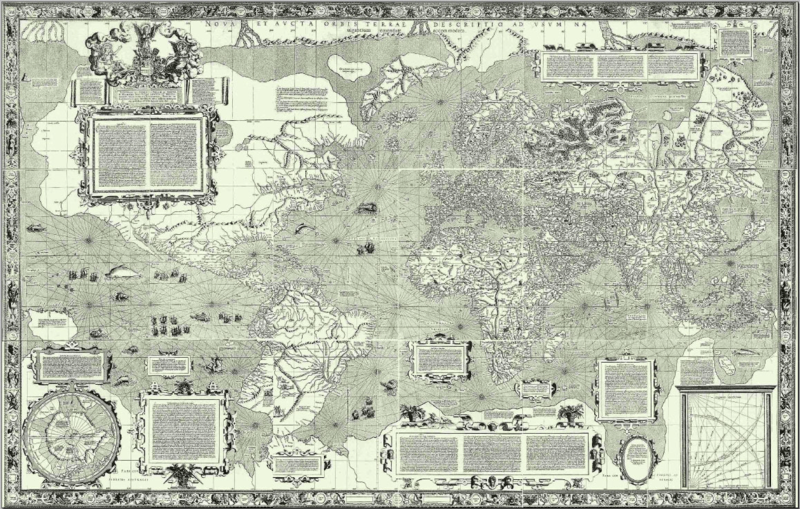 Flemish geographer and cartographer Gerardus Mercator world map of 1569 introduced a cylindrical map projection that became the standard map projection known as the Mercator projection. Google Maps headquarters is located in the idyllic-sounding Mountain View, California, but when I visited to discuss the future of mapping I was ushered into a windowless conference room named after a famous explorer. Then I realised that all the rooms were named similarly, and that the company had commissioned a jokey wooden signpost to help employees navigate their way around. World maps usually center on the land, with the Pacific Ocean divided as bookends. To show each ocean as a whole with the least distortion for our "Beneath the Oceans" supplement map, we used a map projection called an interrupted Mollweide centered on the Pacific. The signpost, just a few years old, was chipped at the edges to make it look as if it was something Davy Crockett may have used, and the names carved upon it encapsulated the heroic human endeavour necessary to chart the world before satellites made this task obsolete. Marco Polo was on there, as was Sir Francis Drake, Vasco da Gama, Magellan, Lewis and Clark and Shackleton. It was a handsome sign, and a neat idea, but above all it was a vindication: Google was in charge now, directing its all-powerful employers to rooms where they would, in turn, direct the rest of us around the rest of the world. The third and fourth spacecraft in Europe's satellite navigation system have gone into orbit. The pair were launched on a Russian Soyuz rocket from French Guiana. It is an important milestone for the multi-billion-euro project to create a European version of the US Global Positioning System (GPS). With four satellites now in orbit - the first and second spacecraft were launched in 2011 - it becomes possible to test Galileo end-to-end. That is because a minimum of four satellites are required in the sky for a smartphone or vehicle to use their signals to calculate a positional fix. Engineers can now run an intensive programme to validate every aspect of Galileo's design, including its all-important ground infrastructure which will monitor and control the satellites. 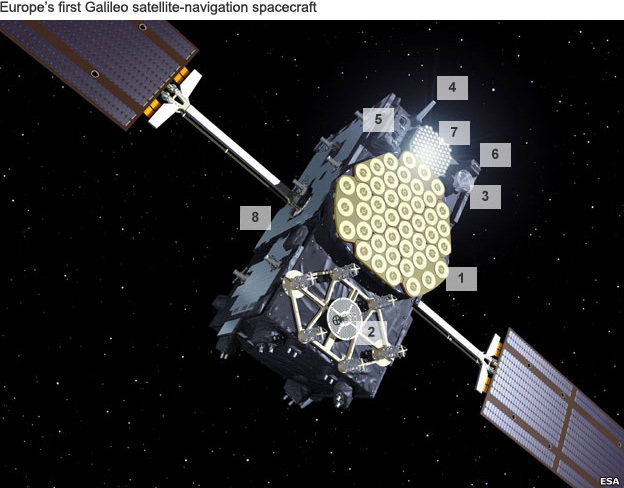 "Of course, these four satellites will be visible [only] during intermediate periods of time," explained Marco Falcone, the head of Galileo System Services at the European Space Agency (Esa), which is procuring the sat-nav network for the European Commission. "But from now on, receiver manufacturers will be able to start testing the system and preparing for Galileo services." The Soyuz ST-B rocket cleared the Sinnamary launch pad at the scheduled local time of 15:15 (18:15GMT; 20:15CEST; 19:15BST). Ejection of the twin satellites into their 23,250km-high orbit occurred three hours and 44 minutes later. It will be sometime before general sat-nav users are able to see the benefits of Galileo, however. This will have to wait until a public navigation signal is switched on, and it is likely to be 2015 before there are enough spacecraft in orbit for the system to start to show its true capability. Compared with the US's current version of GPS, Galileo promises more accurate and more precise fixes, although the Americans themselves are planning to upgrade their infrastructure in the coming decade. 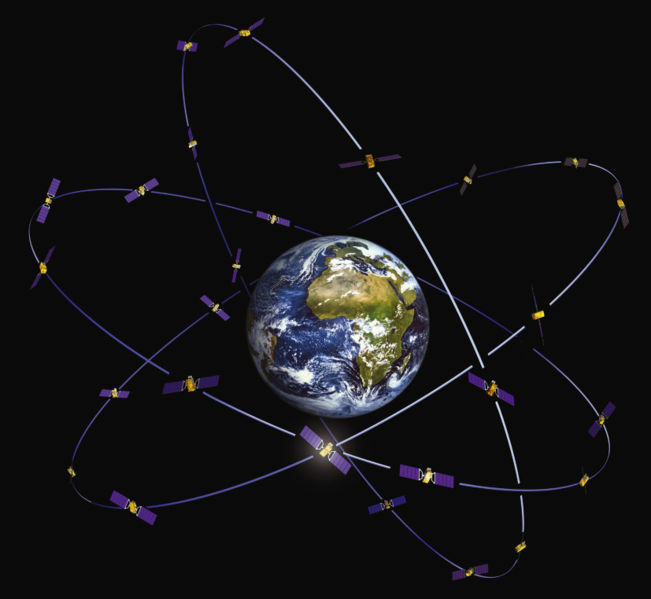 The first four Galileo satellites comprise the so-called In-Orbit Validation (IOV) phase of the project. The satellites were made by an industrial consortium featuring Europe's two heavyweight space companies - Astrium and Thales Alenia Space (TAS). Astrium's role, at its UK centre in Portsmouth, was to integrate all the payload components, including hydrogen-maser atomic clocks, the ultra-precise time-pieces on which Galileo's performance depends. TAS, at its Rome facility, developed the spacecraft bus, or chassis. This is the part of the satellite that generates power through solar panels, and keeps the platform on-station using a propulsion system. The Astrium-TAS consortium had hoped to win the contract to provide the Full Operational Capability (FOC) satellites, but it was beaten to the work by a partnership featuring two of Europe's fast-rising spacecraft manufacturers - OHB-System of Bremen, Germany, and SSTL of Guildford, UK. The first of 22 OHB-SSTL spacecraft should launch next year, again on a Soyuz from French Guiana. Following the Felix Baumgartner's jump from space's edge, what about ultra-deep sea diving ? Actually, there are more people who have walked on the surface of the Moon than people who have dived below a depth of 800 feet. Since the 1960s, scientists, industries and divers have worked hand in hand to explore man’s ability to reach extreme depths. In this quest for the unknown, the risks are huge: high-pressure nervous syndrome and narcosis can often lead to death. As men try to go where no one else has gone, not everyone survives. South African engineer Nuno Gomes chose the abyss as scenario for his challenge to the nature. In 2003 he descended the Red Sea off Egypt coast reaching a record depth of of 1,044 feet (318.25 m). The plunge lasted 14 minutes but it took him other 12 hours to complete the decompression and re-emerge from the waters. by Pascal Bernabe - 330 meters that he did on the 5th of June 2005 near Propriano in Corsica. Pascal Bernabé is a French SCUBA diver who lays claim to the world best for depth on a deep dive using self-contained breathing apparatus. Bernabé used trimix to dive to 330 meters (1,083 ft) 5 June 2005 near Propriano, Corsica. This is actually deeper than the official deepest scuba dive recognized by Guinness World Records. That mark, set by Nuno Gomes in Dahab, Egypt, is 318.25 meters of sea water. Nuno's mark is not as deep as Bernabé's claimed deepest dive, which was not included in the Guinness Book of World Records due to insufficient evidence of such a dive ever being performed. EpicSesh captures all the action at Jaws Pe'ahi Maui, Hawaii on October 9th and 10th 2012.